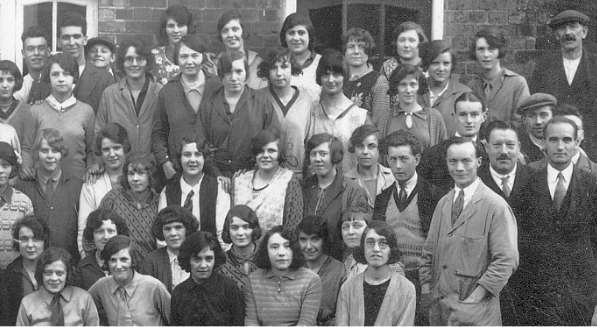 Back row - Frank Bracey, Harry Franklin, Florrie Jordon, Amy Jordon, ? Broomfield, ? Broomfield, Murial Bracey, Nellie Pratt. Second row - ? Kerrison (baby), Gladys Kerrison (large hat), Vida Arnold, Sid Arnold, Maud Bracey (apron), then two visitors. 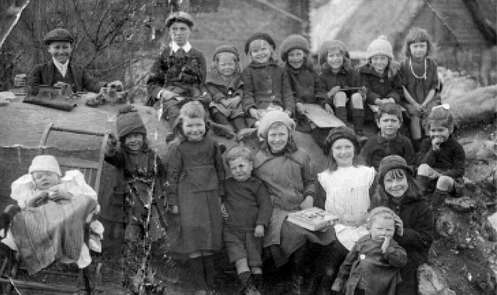 The Broomfield children lived at the Walnut Tree pub nearby. Photograph was taken on the fields where Wick Avenue is now. 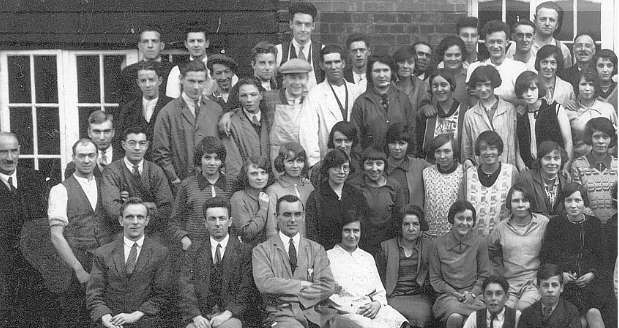 LH side close-up of Helmets c1932 - Do you recognise anyone? 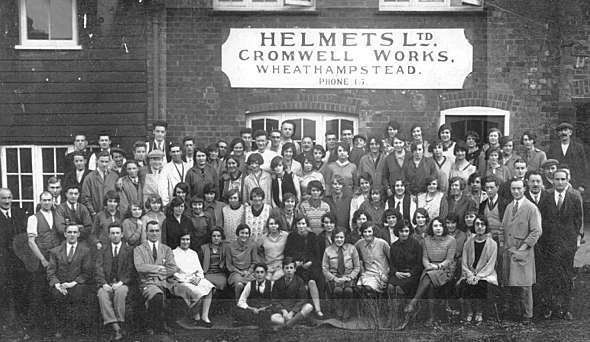 RH side close-up of Helmets c1932 - Do you recognise anyone?